The FIELDTOPMAKER® 1500 is a heavy-duty fraise mower, for removing unwanted surface matter such as poa-annua, thatch, weeds or the entire surface to a depth of 50mm. It has a side arm elevator to remove debris directly into a trailer. 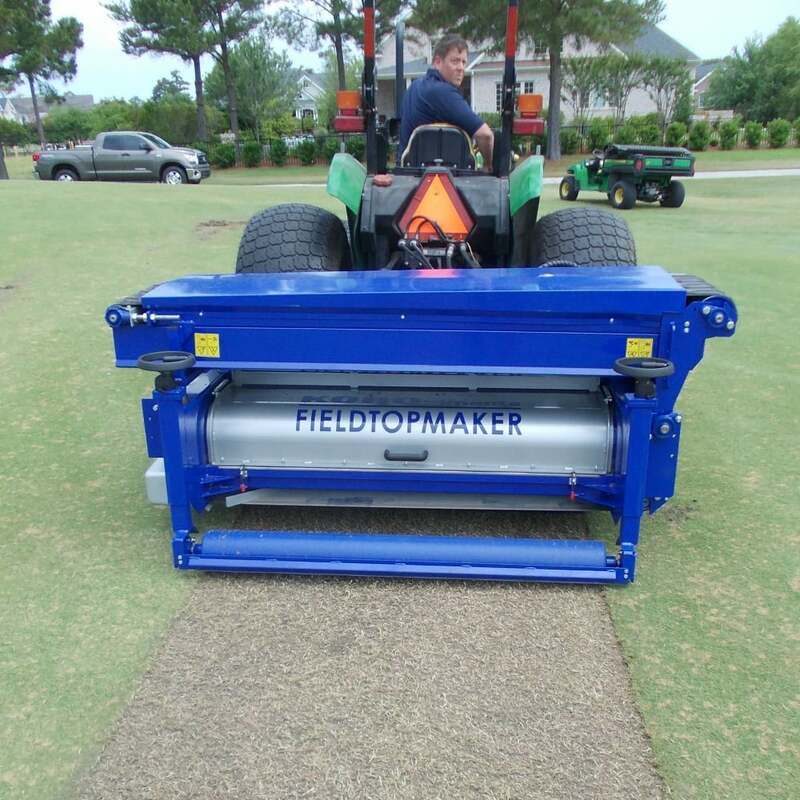 The FIELDTOPMAKER® 1500 is for midrange tractors of around 50 - 65 hp, and is ideal for sports pitches & golf fairways. The elevator folds flat for transport. 540 pto. 30ltr/min hydraulic flow. 2 x double acting spool. 45 - 65hp. Creep speed or hydrostatic drive required.